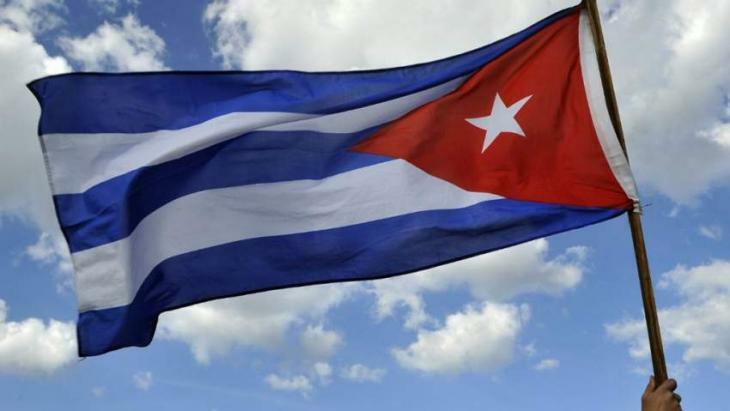 MOSCOW (UrduPoint News / Sputnik - 17th April, 2019) The European Union and Canada on Wednesday condemned the United States over the decision to apply extraterritorial Cuba-related sanctions as such measure violates international law. "The decision by the United States to renege on its longstanding commitment to waive Title III of the Helms-Burton (LIBERTAD) Act is regrettable, and will have an important impact on legitimate EU and Canadian economic operators in Cuba. The EU and Canada consider the extraterritorial application of unilateral Cuba-related measures contrary to international law," a joint statement by EU foreign policy chief Federica Mogherini, Canadian Foreign Minister Chrystia Freeland and EU Commissioner for Trade Cecilia Malmstrom, read. The sides aim to protect the interests of business under the World Trade Organization (WTO) rules, according to the statement. Secretary of State Mike Pompeo has announced that Washington would allow US citizens to sue foreign companies that benefit from their properties which were seized by Cuba after Fidel Castro came to power.